or pick up a schedule at the YMCA. 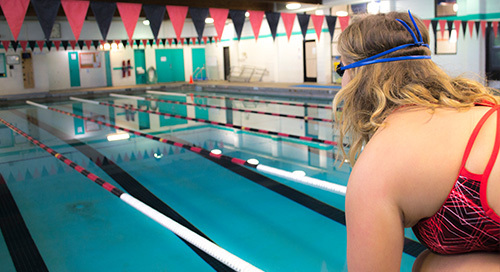 At the Tillamook YMCA, we offer a variety of swim lesson options for swimmers of all ages and abilities, from parent/child to adult lessons. Our instructors take pride in providing the best instruction possible to help everyone reach their full swimming potential, learn water safety, develop self confidence, overcome fears and improve their fitness level. We offer morning, afternoon, and evening lessons Monday-Thursday as well as morning lessons on Saturday’s. A class schedule with times and days can be found at the YMCA Welcome Center. Accompanied by a parent, infants and toddlers learn to be comfortable in the water and develop swim readiness skills through fun and confidence– building experiences, while parents learn about water safety, drowning prevention, and the importance of supervision. Ages 6 months—3 years. A/ Water Discovery: Parents accompany children in stage A, which introduces infants and toddlers to the aquatic environment through exploration and encourages them to enjoy themselves while learning about the water. B/Water Exploration: In stage B, parents work with their children to explore body positions, floating, blowing bubbles, and fundamental safety and aquatic skills. Wednesday’s 10:30 am – 11:15 am. 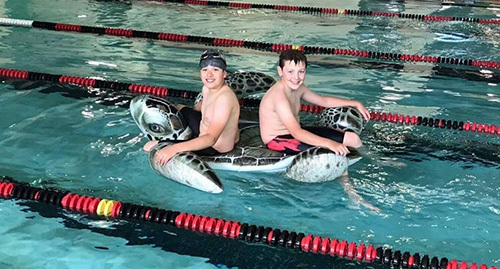 Students learn personal water safety and achieve basic swimming competency by learning two benchmark skills: Swim, float, swim-sequencing front glide, roll, back float, roll, front glide, and exit. Jump, push, turn, and grab. Ages 3 years – 5 years. 1/Water Acclimation: Students develop comfort with underwater exploration and learn to safely exit in the event of falling into a body of water in stage 1. This stage lays the foundation that allows for a student’s future progress in swimming. 2/Water Movement: In stage two, students focus on body position and control, directional change, and forward movement in the water. While also continuing to practice how to safely exit in the event of falling into a body of water. 3/Water Stamina: In stage three, students learn how to swim to safety from a longer distance than in previous stages in the event of falling into a body of water. This stage also introduces rhythmic breathing and integrated arm and leg action. 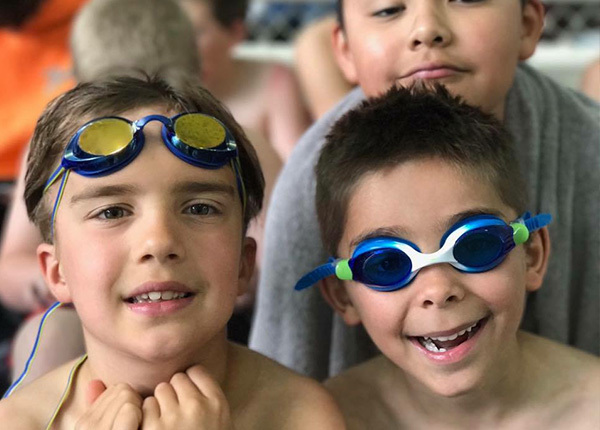 Having mastered the fundamentals, students learn additional water safety skills and build stroke technique, developing skills that prevent chronic disease, increase social-emotional and cognitive well-being, and foster a lifetime of physical activity. Ages 6 years to 12 years. 4/Stroke Introduction: Students in stage four develop stroke technique in front crawl, back crawl, learn breaststroke kick and butterfly kick. Water safety is reinforced through treading water and elementary backstroke. 5/Stroke Development: Students in stage five work on stroke technique and learn all major competitive strokes. The emphasis on water safety continues through treading water and sidestroke. 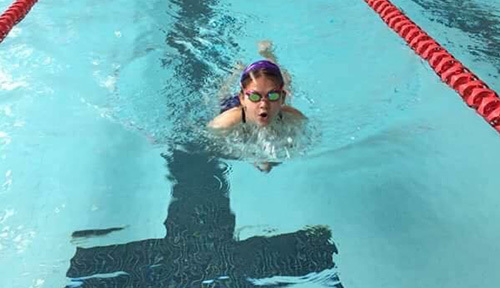 6/Stroke Mechanics: In stage six, students refine stroke technique on all major competitive stroke, learn about competitive swimming, and discover how to incorporate swimming into a healthy lifestyle. Can’t find a class that fits your schedule or that fits your needs? We also offer private lessons, semi-private lessons, and group lessons. These classes are offered to anyone of any age, ability, or with special needs. 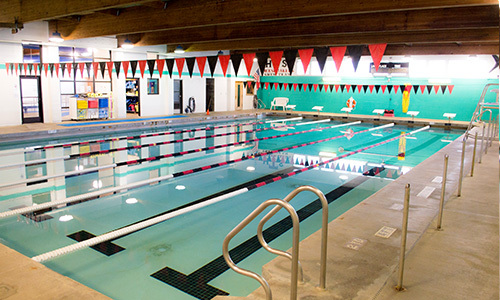 Here are at the Tillamook YMCA we strive to meet the needs of everyone. A Private Lesson request form can be found at the front desk. If you would like assistance with setting up your lesson with an instructor please contact our Aquatic Education Coordinator. The Tillamook YMCA Sharks Swim Team is a year round USA/YMCA Swim Team. The team competes in meets all over Oregon as well as some meets in Washington and Idaho. The Sharks swim team is made up of four different progress/competitive groups for all different skills levels and two USA/YMCA Swimming certified coaches. Mandatory evaluation must be completed with a coach prior to registration. Please contact the head coach to set up a time. Introduction to Sharks: This program is designed for young swimmers to “test out” competitive swimming to see if they would like to pursue the sport. Swimmers will be introduced to the four competitive strokes (Butterfly, Backstroke, Breaststroke, and Freestyle). The main focus of this group is is technique, turns, dives, streamlines, and learning swim team lingo. Swimmers are asked to attend all three days of practice, although there are not any attendance requirements for this level we do encourage coming as often as possible, as your swimmer will progress quicker. Swim meets are not offered to this group. *USA Swimming registration is not required. Bronze: This group is the first of our two developmental groups. 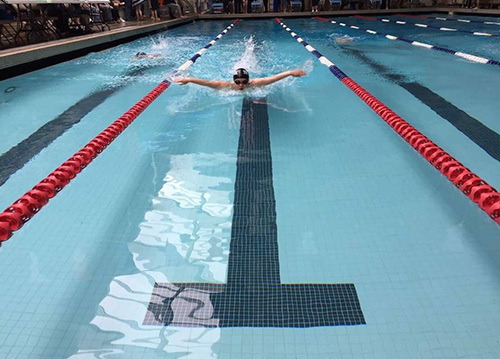 Swimmers will continue to perfect the four competitive strokes (Butterfly, Backstroke, Breaststroke, and Freestyle). Workouts will start to be introduced, but still the main focus is technique, dives, and turns. Competition is encouraged but not required for this group. There are no attendance requirements for this level, but the more your swimmer practices the quicker they will progress. *USA Swimming Registration is required. Silver: This group is the second of our two developmental groups. Swimmers will start to more independently do their workouts, with some guidance from the coaches. Technique, dives and turns will still be a focus but more time will be spent on work outs. Competition is required for this group, you must attend at least two meets per season. Swimmers are required to attend at least four days of practice a week. Remember, the more your child practices, the faster they will progress. USA Swimming Registration is required. Gold: This group is our competitive training group. Athletes in this group are expected to maintain a 70% attendance rate to remain in the group. Those that qualify for championship meets are expected to have 85% attendance to compete at the meet. Swimmers in this group are expected to attend at least three swim meets during the short course season and two during the long course season. USA Swimming registration is required. $70 USA Swimming annual registration fee due when registering for the Sharks. All swimmers must pay this at the time of registration. If your child/children are on free or reduced lunch you will receive a discount on your USA Swimming registration fee. You will pay $5. You must bring in proof to get this discount. All swimmers must be YMCA members – Your membership will be verified at the beginning of each month. More information is available in our registration form at the YMCA. Coaches are available M-F, any messages or phone calls left over the weekend will be returned on Monday.